I just couldn’t get enough of our awesome Christmas traditions here in the Philippines. Even if it’s been 3 months ago already, I could still recall how joyous it was. We don’t have snow and the magical snowman, no sleigh and real pine tree in our house, no chimney and fireplace because it’s typically warm here and most of all, I have not seen anyone here with a hanging mistletoe on their ceiling so anyone can kiss under it. But, our own Christmas celebration is evenly especially. Anyway , Philippines is said to be the country with the longest Christmas celebration. Officially it begins December 16 and ends on January 09. 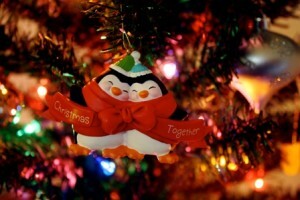 But little do they know, the moment SeptemBER hits the calendar we begin to greet each other a Merry Christmas. Honestly yeah! That’s how excited we are for the season of love and giving. One radio station here in our city would play a Christmas song for August 31 midnight, before they sign off, and continues to do so until the season ends. 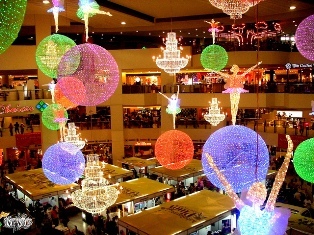 The department stores and other Christmas craft businesses begin to make and sell decorations. The earlier they sell the more purchases they get. These stuffs are usually colorful and bright. We can’t deny we love lights here. Here’s a list of the most common Christmas decorations found on every home or building. Christmas tree – it’s obvious but I’m just going to share the evolution of these nowadays. Being on different colors, different kind of leaves and sizes. Have you ever seen an upside-down tree? Parol/Lantern – No matter how simple or complicated a Parol design is, remember the STAR should be remarkable. It symbolizes the shining star that led the 3 wise men to the manger where Jesus was. 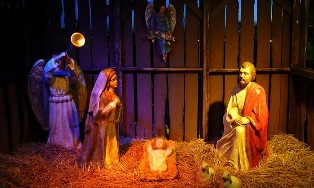 Belen – The manger itself. Some households/buildings have this in small figurines, big ones and some have this on paintings. Basically, it’s composed of Joseph, Mary and Jesus. Sometimes the whole cast is include: angels, 3 wise men, shepherds and animals. 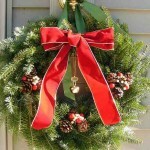 Wreath – is a Christmas garland usually hanged on doors or poles of a building. Vines/Flowers/Balls/Stockings/Candy Canes – these are just anging everywhere. Usually colorful and shiny metallic colors. 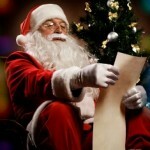 Santa Claus – a fictional character from North Pole. Whether big or small Santa, you’d see a figure of this huge happy guy who is known for giving gifts to the nice kids all over the world. Naughty kids are still happy they have their own “Santa” at home (mom and dad). On some parties, there would always be someone to wear the Santa costume. Qualifications: Must be tall, with bold voice for the ho ho ho! and most of all, should have a very big tummy! Upon seeing these 6, you’d know Christmas has really filled the air. The feeling is just contagious that when a person comes across with a friend or even a stranger- it’s just so easy to share a smile. Spanish colonizers introduced Christianity to our country. That’s the very reason why some of our Christmas events have Spanish names. 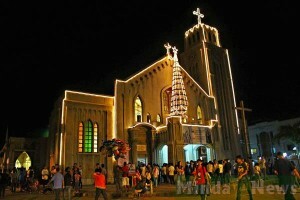 Simbang Gabi/Misa De Gallo/Night Mass/Rooster’s Mass– the name describes how early the mass is. It would be at 3 am of December 16 or 8 pm of December 15. Whichever you begin attending to, try your best to complete the 9 masses. Devoted Catholics believed that the wish of church-goers will be granted when they are able to complete. 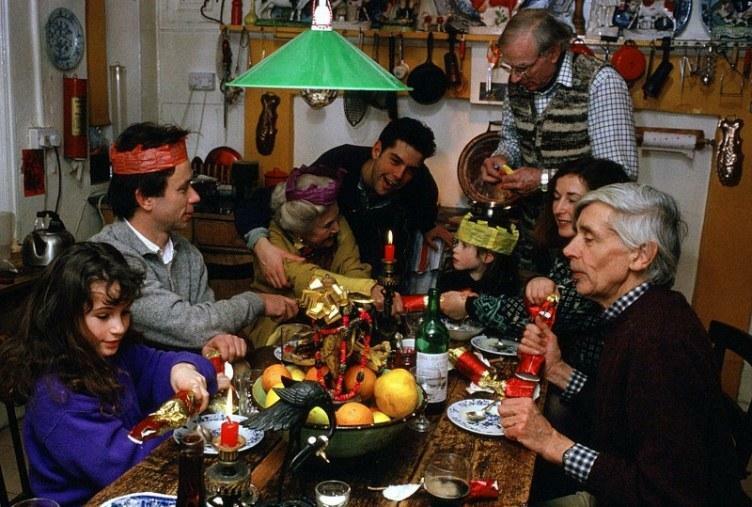 Christmas Eve/Noche Buena – is the 24th of December. As some other countries are fond of celebrating this on street parties along with friends, Filipinos choose to spend this feast with the family and even extended families. Yes, usually even married children would go back to their hometowns along with their kids. Isn’t it fun with so much kid around? Panunuluyan – in English it means “stay” because it is a re-enactment of Joseph and Mary’s journey to find a place and eventually for Mary to give birth. This is accompanied by songs and with scenes of requesting for a room, the cruelty of house owners and the kindness of a man to offer the only available room in the place- the manger. 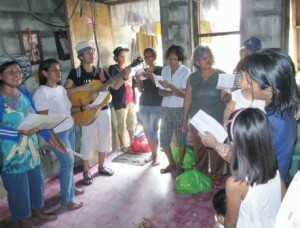 Caroling – This officially begins Dec. 16 and ends Jan. 06. Everyone has a team of their own. Kids, Teens, Oldies: some are on contemporary choir, some are more modern but whatever their style is, they sure are expressing their wishing of Christmas and New Year prosperity through songs. In exchange of this, a household/office would usually give cash. But some household give candies for kids. Some are on acapellas while some have instruments with them. For kids, they usually flat a soft drink crowns inserted on a copper wire and used as improvised tambourine. Daytime and nighttime, you’d see carolers with every gimmick possible to entertain people. Last December, teenage girls caroled at our office on a medley violin playing the Gangnam Style in between their carol. Just so cool! Christmas Day itself! 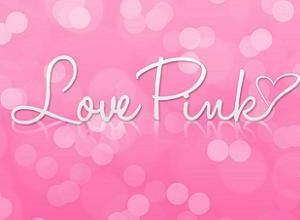 I love Holidays where there’s nothing to worry about work and school! All but fun and rest. This is a big feast gathering! 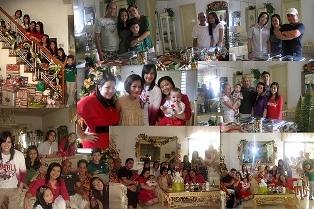 Lots of food, family members, friends and too much togetherness. Gift Giving/Kris Kringle/Monito Monita – We still do! Especially the parents, grandparents and godparents are well remembered during Christmas season. Let’s just not forget to be thankful for the gifts but give thanks to the Giver. New Year’s Eve & New Year itself – This is the beginning of another year. Most people say don’t dwell of the bad things that happened to you the previous year. Grab what is set for you this New Year. 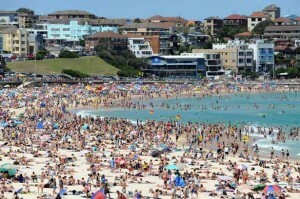 Usually, families here would go on a beach or swimming pools on January 1. 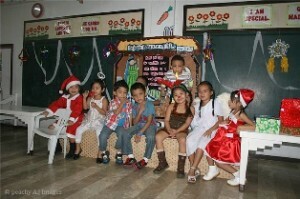 Christmas parties for schools and offices – Usually begins on 2nd week of December till whatever date they are available. To some, they call it “year-end party” just not to offend Islam people who are also invited to attend. Christmas Bonus – Cold cash! This is the only holiday with a bonus, isn’t it? Now that I’m working, I know how it feels receiving this bonus. The moment I do, then shall I begin shopping gifts for my godchildren, family and friends. Pictorials/Photo Shoots – It’s one of the most-made albums of a Christian Facebook user (or any other social site). 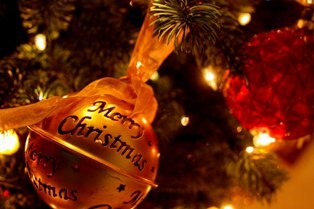 Have you seen Christmas 2011, Christmas 2012, My Christmas and Happy Christmas? . Undeniably it’s a season that people do cherish. They wouldn’t let it passed with much photo remembrance taken. Firecrackers/Fireworks – during the season, some families do spend much for these. We prefer only sparklers because we have kids at home. We just wanted everyone to be safe. I know almost everyone will agree. Christmas season is also the season of gaining weight here in the Philippines. It’s been a running joke that people here would be watchful on their diet from January to November because December is going to be the eat-all-you can month. 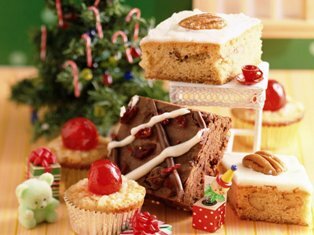 Events and dining gathers are on successive dates. And if you guys know, here in the Philippines the usual meal would have “rice”. Yes, that’s totally a heavy meal -carbohydrates and sugar. You’d be torn between all of them! I’ve grouped them into categories. At home, we don’t usually prepare all recipes but at least 2 for each category. Check them out! 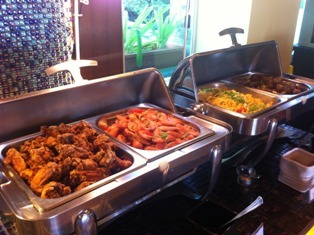 Main event – Lechon or roasted pork, roasted chicken and ham. 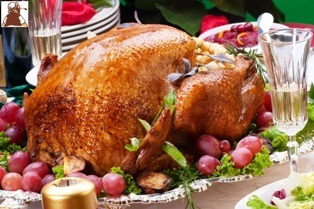 On foreign countries, turkey is said to be the trademark of a Christmas feast but here in the Philippines, turkey is not common. If a household has enough budget then Lechon it shall be, but if not roasted chicken and ham would make up the table. 2. 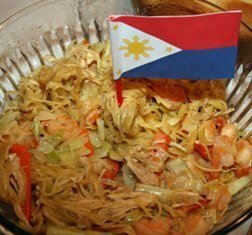 Noodles dish – Pancit, sotanghon, bihon, palabok or spaghetti. Yup, usually any of these noodles are available for the Noche Buena. Maybe because it’s to describe “long life” on birthdays, then may be long blessed life for Christmas too. 3. Viands – any of these side dishes would do. From adobo, menudo, mechado, afritada, caldereta, chopsuey, patotin, butter chicken, fish fillet, lumpia, tinola, sweet and sour, beef steak,lenggua,embutido,sea food and many more too mention! What I’ve mentioned would either be a beef,pork,fish or goat cuisine. 4. Sweets – Cake, brownies, leche flan, mango float, ice cream, cassava cakes, fruit salad, buko salad, cupcakes, macaroni salad and pies. To balance the crave of the tongue. 5. Fruits – At home, we just buy random fruit combinations. 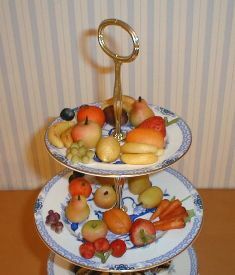 But all time favorites are apple, oranges, grapes and mangoes. 6. Drinks – from soft drinks, juice, wine and other liquor. Just don’t drink and get drunk then drive, in case you’re planning to leave the venue later. 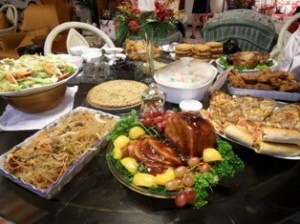 So do you think you could ever control your diet on a Christmas Noche Buena? For me, honestly no!